Did you know? Over 68% of all shopping carts on the Internet get abandoned. 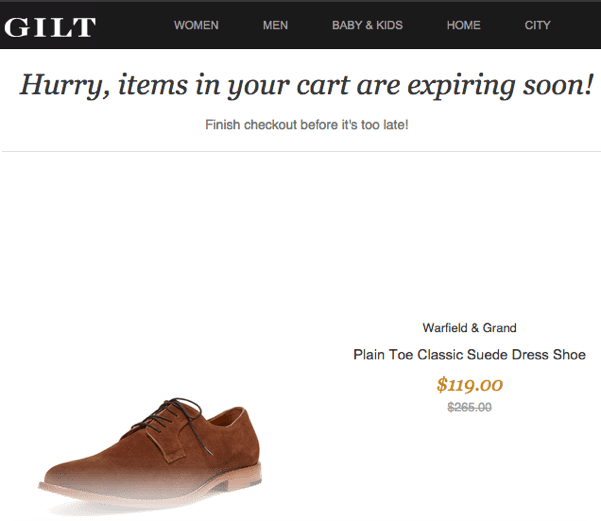 While many eCommerce store owners are aware of the problem, few know how to write an effective abandoned cart email that would make customers come back and finalize their purchase. But no worries. 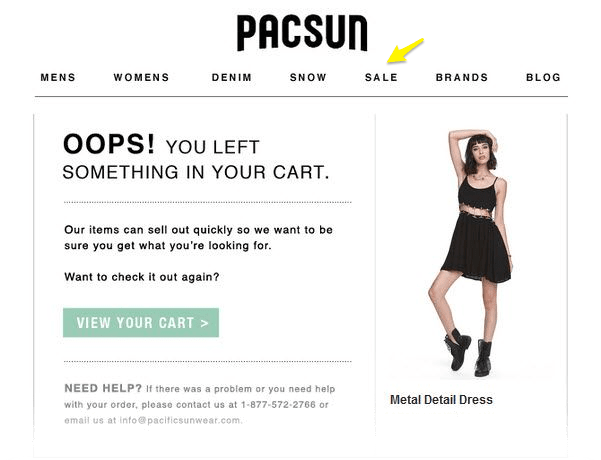 We’ve browsed through hundreds of great abandoned cart email examples FOR you, and, guess what… Many of them have things in common. 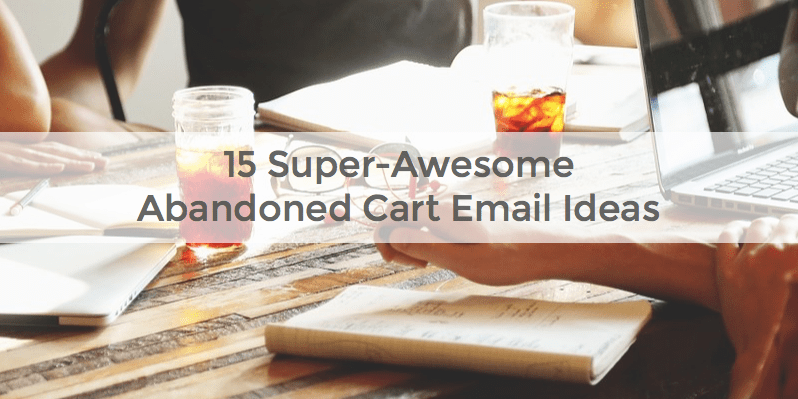 So, we’ve put together a list of 15 abandoned cart email ideas that are up for grabs right below. 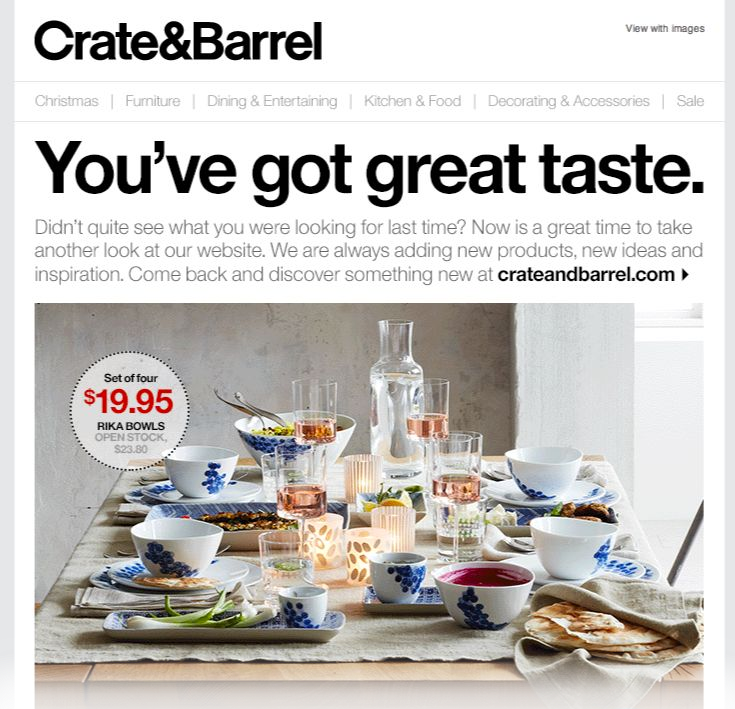 As David Oglvy famously said, “When you have written your headline, you have spent 80 cents out of your dollar.” So, take the subject of your abandoned cart email very seriously. Otherwise many people won’t even get past it. You get to make the first impression only once. 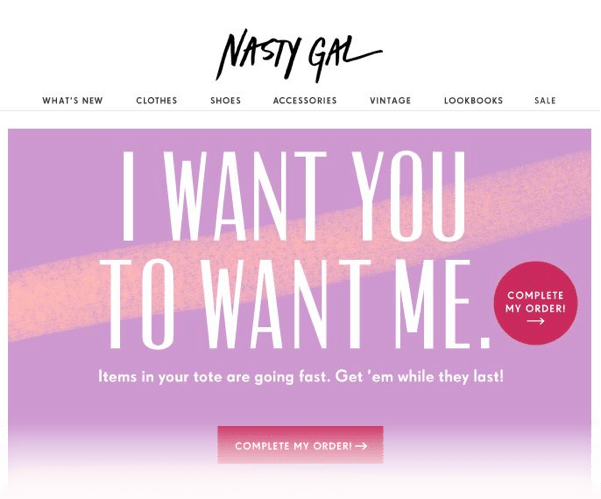 Try to shock the reader of your abandoned cart email a bit. We realize it may take some time to come up with a great (and not poor-taste) original idea. But it is sure to pay off in the future. Marketing scientists have discovered that, when we address a customer with a simple “You” or by their first name, we are much more likely to get response. So, include these words into the subject line or the body of your email. Many abandoned cart emails we’ve come across begin with a “Thank you”, and this is not by chance. Thanking the customer first emulates natural human behavior when we cart nicely and say something polite to people before getting down to business. You have a flair for great things. In case you haven’t guessed it yet, the idea is to say something people like to hear. Of course, it might falls on deaf ears of a limited share of skeptics, but will work for most people. 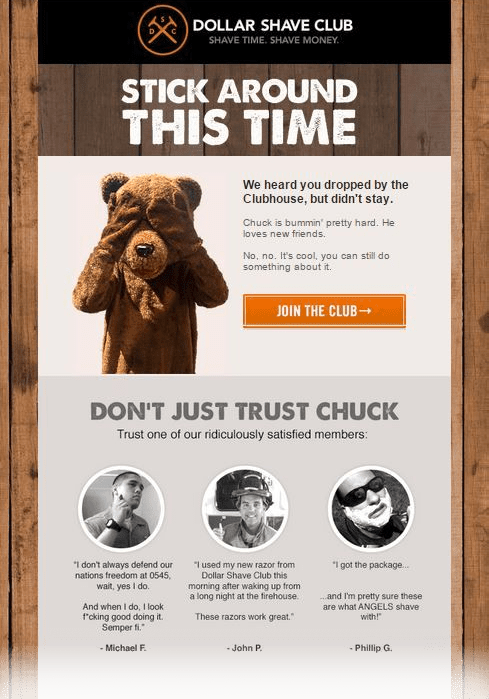 Impressive design can help your email stand out among tons of run-of-the-mill messages. 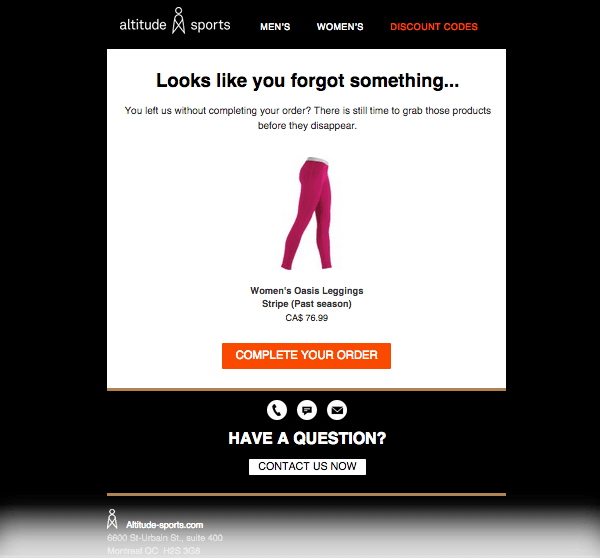 And it’s really not that difficult to create a nice-looking, visually-appealing abandoned cart alert email. Perhaps a hand-drawn portrait of the item(s) left in cart would do? Statistically, over 50% of people abandon shopping carts, because they want to put aside some items for future purchase. Shoppers are even more likely to do that if the website offers no Wishlist, Favorites or Items for Future Purchase functionality. 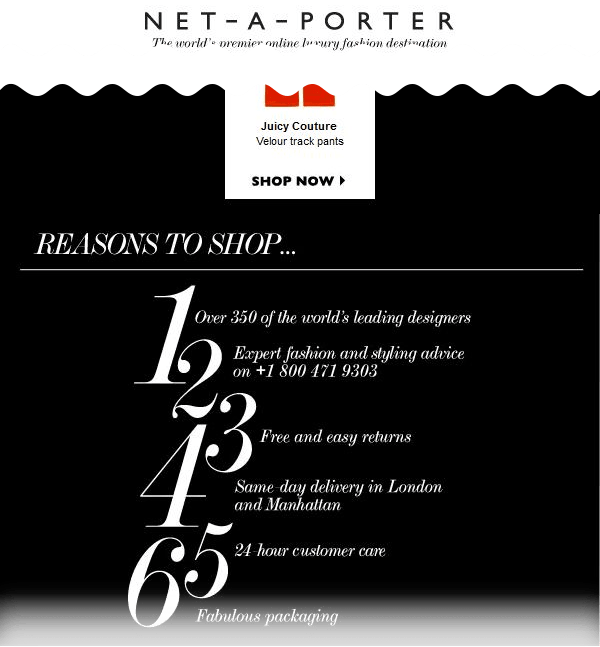 The item in your cart is about to sell out – only 3 left! Customer reviews are a really old a proven way to solidify trust in your product. 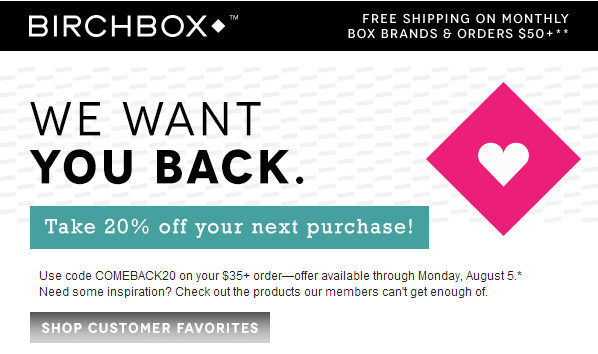 So, why not include a few into your abandoned cart email? According to research, more than 50% of all abandoned carts occur because the delivery fee is higher than expected or because the shopper does not qualify for free shipping. While not every brand can economically afford to ship for free, if you know this may be the concern at your store, you can emphasize your shipping conditions in the abandoned cart email. Quite often, your customers are not aware of the additional benefits your company offers. If can be anything from unconditional money-back guarantee to same-day delivery, to other things. Emails from real people are harder to ignore. People are more likely to open, read and act on an email if it comes from a real person with a name and a face to that name. So, it is a good idea to include an image and the name of the business owner, your customer care employee, or someone else within your company at the end of your email. Well, what if your customer has already purchased this item from another store or doesn’t need it anymore, or your shipping conditions are not looking great anyway? 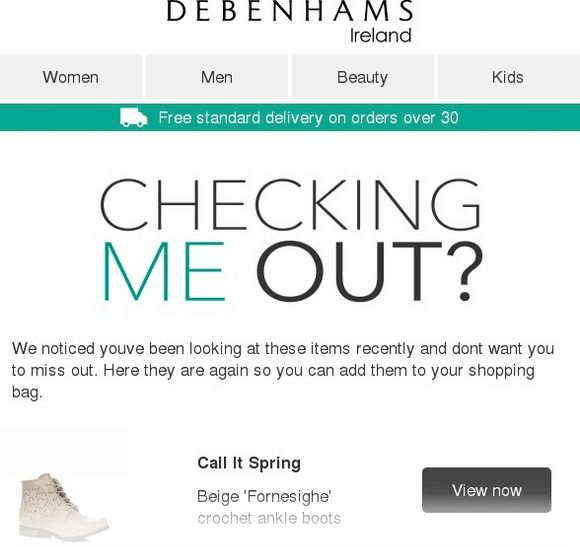 Have them come back to your store and stick around for longer by adding navigation links to your email. Many big brands do that. 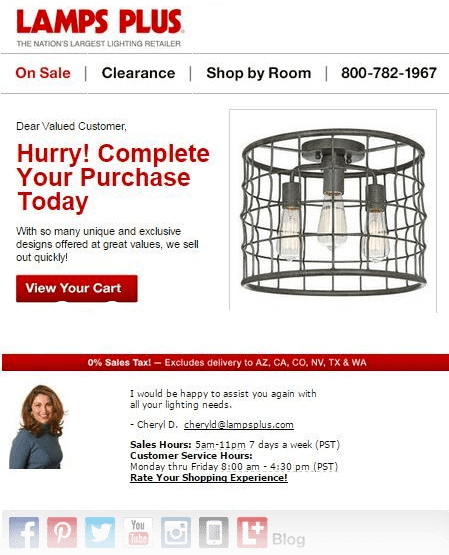 Basically, an abandoned cart email is an opportunity to bring customers back to your store, even if they are not planning to buy the item(s) in their cart. Another smart way to use your email’s real estate and to kill several birds with one stone is to include You may be also like… items at the end of your email. This is similar to how, if you don’t like some item in an offline store, the sales assistant suggests you to try on another one. 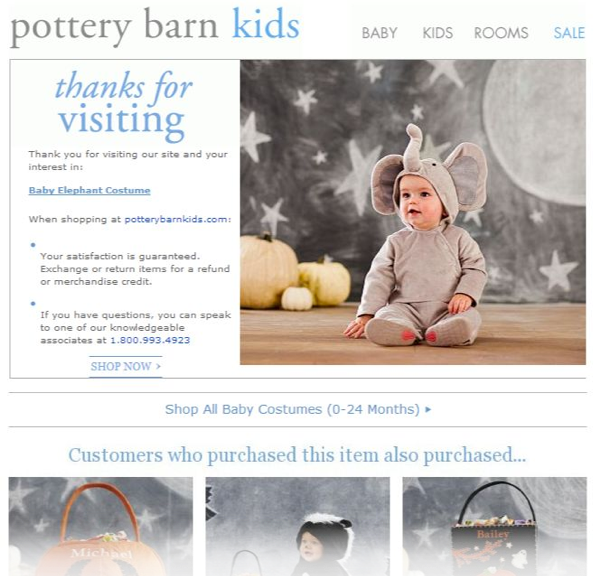 Many abandoned cart email include a phone number to call. This is the case when inviting question could mean inviting more sales. 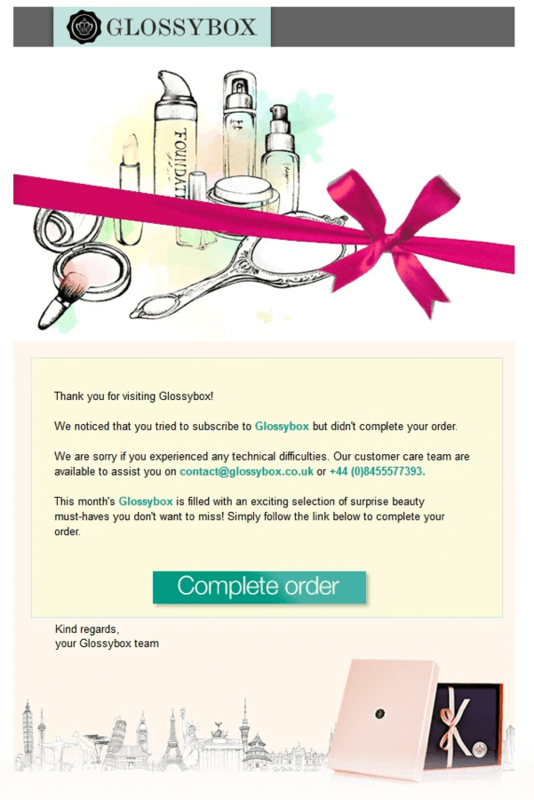 Perhaps your customers DO have questions about your merchandise, but they don’t bother writing an email. 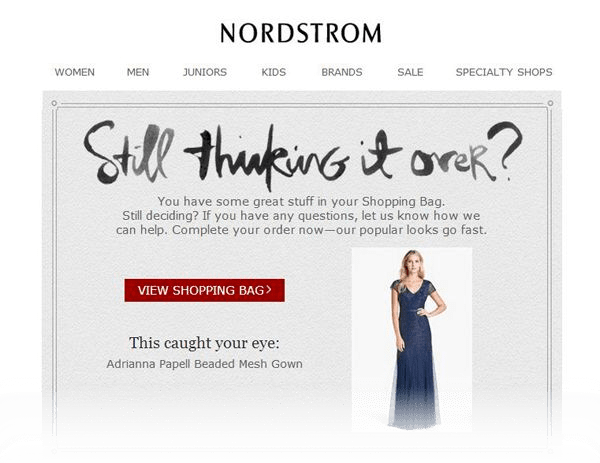 With so many brands sending abandoned cart emails to their customers these days, it’s hard to stand out of the crowd. However, there are certain ways to reinforce your items-in-cart message and entice customers to click the cart recovery link. For example, you can just grab the ready-to-use templates we offer in the Abandoned Cart Alerts Pro extension. They have responsive design and each come with a plain-text copy of the email. 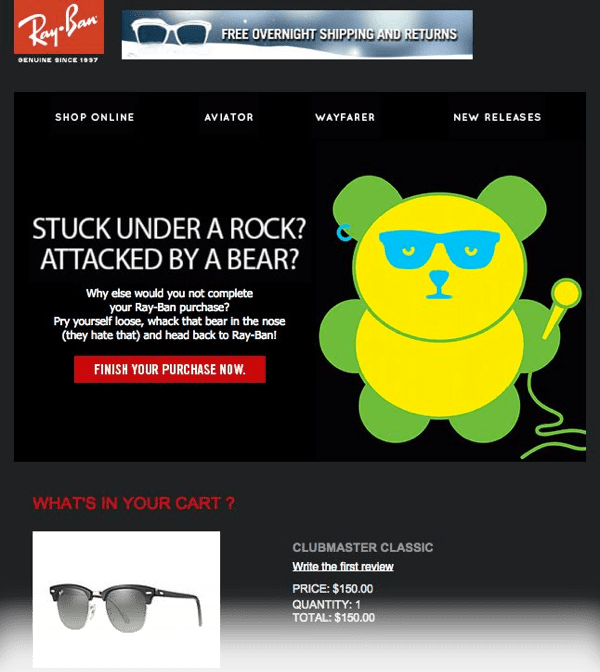 At the same time, we recommend to make your abandoned cart email unique. It’s always better to edit the template and create your own subject, title, call-to-action and design, because people get used to templates very quickly.